Exclusive! 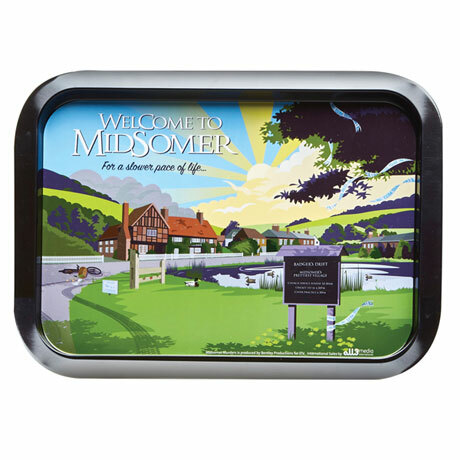 Welcome to Midsomer, for a slower pace of life. Slower, and sometimes dead. Inspired by the long-running hit British television series, this deceptively peaceful scene includes a suspicious accident. Printed metal tray is 13" x 9".